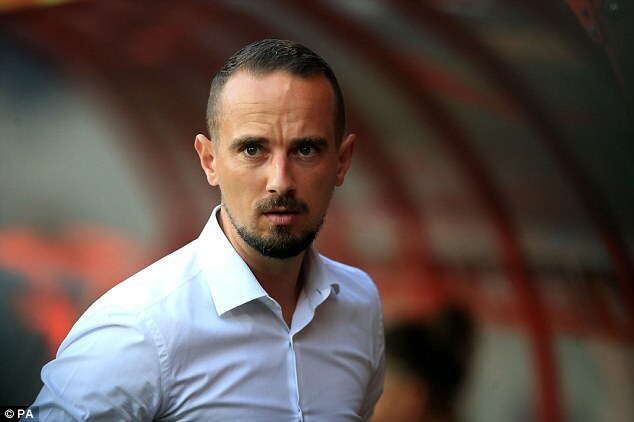 Eni Aluko has spoken out publicly for the first time since Sportsmail revealed she was paid hush-money by the Football Association — and has made a further series of sensational allegations against the organisation and England manager Mark Sampson. Chelsea star Aluko has not played for Sampson since she submitted an email complaint, in May last year, in which she claimed there was a culture of bullying and harassment within the FA, that included an incident of racism involving Sampson. On Monday night, Aluko, 30, added to that with the explosive allegation that Sampson, 34, told her to make sure her Nigerian relatives did not bring Ebola to a match and the claim that the England women’s team have a cultural problem with black and minority ethnic players. 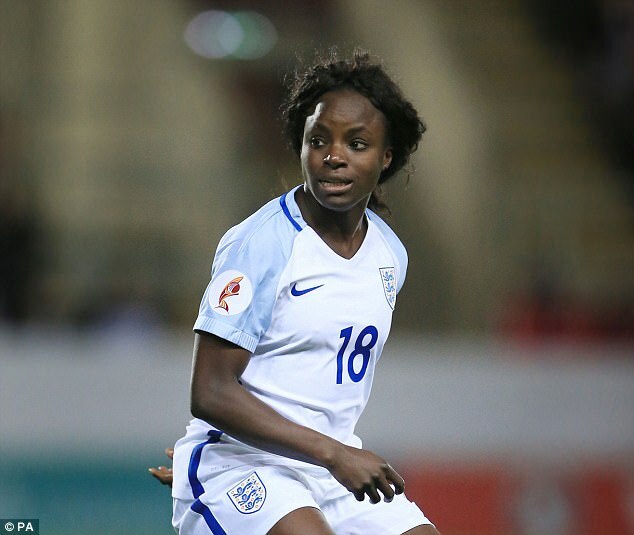 This follows Aluko’s claim in her eight-page complaint that Sampson made a comment with ‘racial and prejudicial connotations’ to a mixed-race player, who he insinuated had been arrested by the police, during a tournament meeting in 2015. The FA on Monday admitted that neither they, in their internal investigation, nor lawyer Katharine Newton, during her independent investigation — both of which cleared Sampson — had interviewed the player, clearly a key witness in the allegation. The governing body claimed it was because Aluko would not tell them who it was, but Sportsmail was able to work out quickly the player’s identity upon reading the original complaint. Aluko was paid £80,000 to keep quiet about her grievances, but since Sportsmail made her complaint public she reached an agreement with the FA allowing her to tell her side of the story, revealing that Sampson made the Ebola comment before England played Germany in November 2014. Aluko also claims that within 24 hours of meeting with leading figures at the FA to discuss her complaint, the organisation emailed to inform her she was facing an investigation for her role as a sports lawyer for a football agency, a potential conflict of interest while a playing for Chelsea. Aluko describes it as a ‘sinister’ move, adding: ‘There are too many coincidences, I’m afraid. I can’t say what their motive was but I took it as a threat at the time. That’s how I felt.’ Highlighting the huge cultural issues within the FA, Aluko added: ‘We do know [the mixed-race player] has not been picked since this incident. ‘Lianne Sanderson hasn’t been picked since she complained about why her 50th cap was forgotten on the same trip that the 100th cap of a white player was remembered. Lianne asked: “Why me?” The 50th cap is a customary celebration. It’s standard. There is a presentation in front of the team and you have a special shirt with ‘50th cap’ written on it. It’s a big deal. She asked why she had been forgotten and she hasn’t been picked since. ‘Anita Asante disappeared without trace despite playing for one of the best teams in Europe. 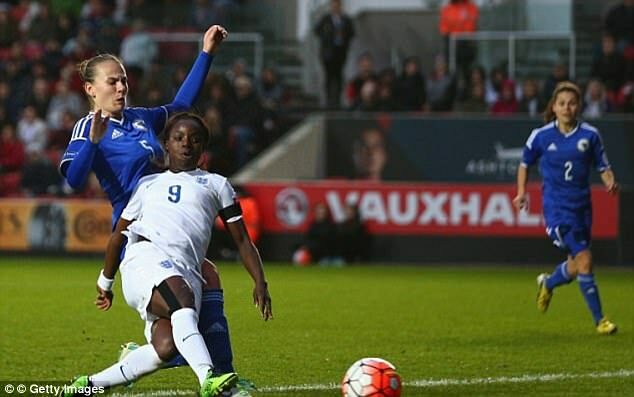 Danielle Carter scored two hat-tricks for England and doesn’t get picked any more – why? There are lots of national teams that are very white, not just England, and I’d hate to say we should be picked because we’re black or mixed race. But are we all bad characters? Are we all terrible players? That’s the question I think people need to be asking because a pattern is emerging here, as clear as day, and my belief is that it’s a culture.